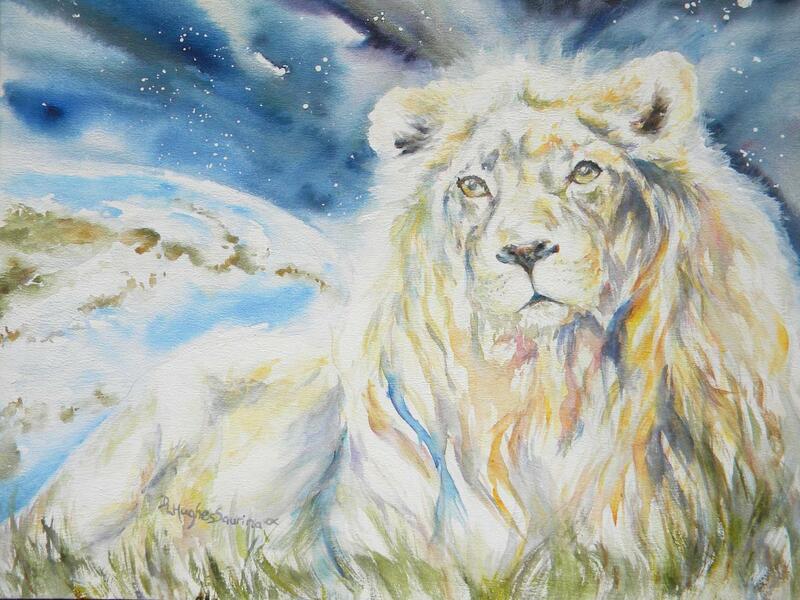 A majestic lion with flowing, mane reclines against a backdrop of the Earth and a glorious universe/night sky. This piece was inspired by the Christmas carol, "Joy to the World" lyrics: ...let Earth receive her King...let every heart prepare Him room and Heaven and nature sing! In watercolor on Daniel Smith gesso-prepared wood panel and varnished, ready to frame. 5" x 6.625"8" x 10.625"11" x 14.625"14" x 18.625"18.25" x 24.375"